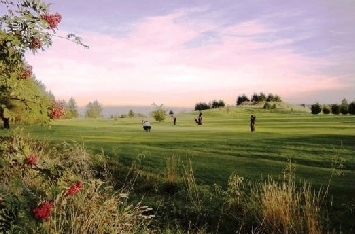 Auchenblae Golf Course with its 3,640 yardage can prove a challenge for the good player, while at the same time provides fun and enjoyment for the holiday golfer, families and those on club or group outings. With enviable views of Drumtochty Glen and the lower Grampians, the course is not one to miss, although short, there are some deceptive holes calling for both accuracy off the tee and on approach to the green. 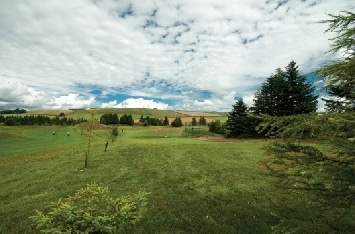 A development in 2002, has seen the first three holes relocated to an adjoining area adding a new dimension to the game. The course continues to test the skill of regulars, particularly the second hole with its split level green guarded by four pot bunkers. Every hole at Auchenblae has a different challenge, for example the field on the right of the 5th has gathered many a stray ball. The complex greens contain many subtle borrows and are receptive to the good shot, whilst others need careful club selection to avoid the daunting downhill putt. Simply pay & play, no need to book a tee time.